Our clothing range has now been increased to include a wide range of garments for on and off the airfield. White or light coloured garments will be embroidered in a contasting gumetal silver/grey colour. Please note as garments are supplied from different manufacturers sizes are not uniform. A Large with one manufacturer may well be an X Large with another, please pay particular attention to the size options when ordering. Please note; garment sizes are quoted either in chest measurement in inches or UK. dress sizes for the ladies. Weight 340gsm 50% Cotton/50% Polyester Unisex style Drop shoulder style Five thread stitchin..
NEW DESIGN, NEW PRICE The essential for all Glider Pilots, Made from 100% cot..
Our original Soaring Hat, 55% Cotton / 45% Polyester, with a double stitched double laye.. Weight 240gsm 50% Polyester / 50% Cotton Three button placket with selfcoloured buttons and sewn-i.. Fabric Weight 340gsm 65% Cotton / 35% Polyester Twin needle stitching throughout Shoulder to s.. Medium to heavy weight Anti-pil Fleece Jacket (400 g/sm). This garment will come embroidered with th..
Gentlemen's Premier Tie with embroidered glider ..
Ladies Slim Fit T Shirt. This garment will come embroidered with the glider design. .. Fabric Weight 240gsm 95%Cotton / 50% Polyester Three button placket with self coloured buttons an.. This Anti-pil fleece neckover will keep out the winter chills, it features a drawstring and toggle a.. Fabric Weight 300gsm 100% polyester Pill Resistant Unlined Elasticated cuffs Black YKK zip.. Fabric Weight 200gsm 100% Cotton Twin needle stitching throughout Taped neckline Our clothing.. Ideal for the winter season. The Dover Jacket by Regatta is Windproof Waterproof and Warm. Its still.. This Anti-pil fleece hat is double thickness with a fold up embroidered brim, guaranteed to keep out.. 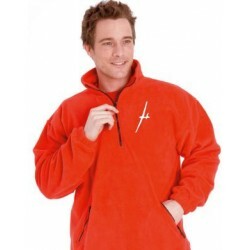 This set comprises of the Fleece winter hat and neck-over with embroidered glider on both. Buying b..